The Carnival Fantasy is today fitted with all the modern conveniences, and once aboard, you’ll not only see it, but you’ll hear it for yourself. Listen for the “ahh” of relaxation at Serenity Adult-Only Retreat, the “ahhhhh” of extreme relaxation at Spa Carnival…and don’t miss the “aaaaaaaaah! !” of thrills at Carnival Water Works, our onboard water park featuring Twister Waterslide and Splash Park! Speaking of modern conveniences, Carnival Fantasy has some of our latest food and drink spots, located right where you want them: alfresco. Guy’s Burger Joint serves up signature burgers designed by, you know, that Guy Fieri guy… while Blue Iguana Cantina is there to help you kick those no-taco blues. Red Frog Rum Bar and Blue Iguana Tequila Bar may be rivals, but a little friendly competition goes a long way towards quenching your thirst for fun. *Offer is limited. Prices are based on double occupancy (single rates available) in categories shown on this form. Offer is subject to availability and capacity controlled. Some offers may not be combinable with group pricing. Prices shown are for June 24, 2019 only. All prices, schedules and itineraries are subject to change without notice. Restrictions and cancellation fees apply. All guests are subject to the terms and conditions of Carnival Cruise Line's Passage Contract, copies of which are available upon request, and the "Important Travelers Information" form referred to on the main web page. All rights reserved. Ship's registry: Panama. All pictures: "Copyright of Carnival Cruise lines. LWML makes no representations regarding the Cruise offered by McGehee Cruise & Vacation, Inc. LWML disclaims all responsibility respecting the Cruise and associated outings, including without limitation to, any responsibility for the cost, quality, and safety of such Cruise. If you do not have one apply now! Click here for info. You will need a certified birth certificate to get a passport. Click here for how to obtain one. Note: If Passenger 2, 3 or 4 has a different address please let me know in the comments section at the bottom. Thank you. If you are requesting a 3rd, or a 3rd and 4th or 3rd ,4th and 5th person in your cabin, please list their information below. Rate for the 3rd, 4th, 5th person in your cabin varies per person. Note: There are a limited number of cabins available that will accommodate a 3rd and 4th and 5th person. (These are mainly meant for children).Ginger can call you with a price, please put a note in the comment box below. The prices below are based per person with 2 people sharing a cabin and include the cruise fare, port charges, government taxes, and gratuities. Suites are limited. Please let me know if you wish to price a suite. There are no Balconies on the Fantasy unless you are in a suite. If you are a past Carnival cruiser we will check if other offers are available using your VIFP number. *** Effective December 1, 2018 Due to increase with onboard Gratuities All cabins booked after Dec 1, 2018, will have a price increase of $1.04 per person per day for Inside and Ocean View cabins to match the new gratuities policy with Carnival. When booking a Suite the price increase is $2.04 per person per day. Please let us know if you have any questions. Click HERE to view Ship Deck Plan. A block of guest rooms is being held for those who desire to stay at the Holiday Inn Mobile West I-10. This is a Sleep, Breakfast, Park and Cruise package exclusively offer to those attending / cruising in conjunction with the LWML Convention. 2 Queens or a King standard occupancy for rooms with parking included: $120.00 per room, plus local taxes, which are subject to the prevailing city and state taxes. Current, taxes total 14% occupancy charge per room, per night and are subject to change. $136.80 is the rate unless there is a change in local taxes. Hotel Facts: Check-in time is at 3 p.m. and check-out time is at 12 p.m. Free transfers will begin about 10:30 a.m. You will sign up at the hotel at the time of check-in for your transfer to the Carnival Fantasy. 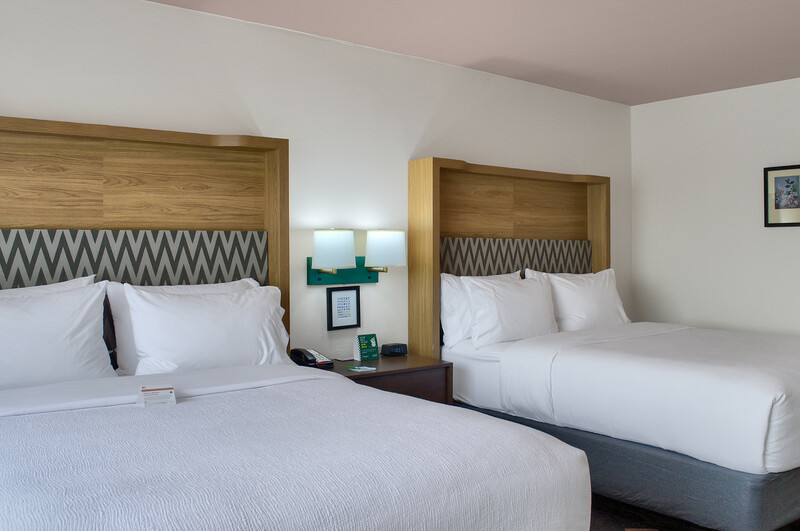 Experience southern hospitality and a prime location at the Holiday Inn Mobile. 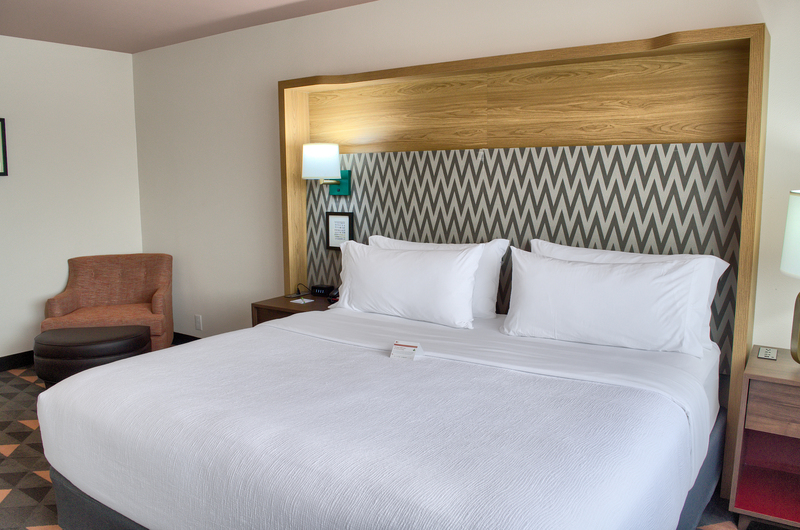 Our newly 4 million dollar renovated hotel is located off interstate 10 matches the charm and warmth this historic city has to offer. Amenities: such as: 24 hour business center, copy and print services, complimentary transportation to and from the Mobile Area Airports 24 hours advanced notice. 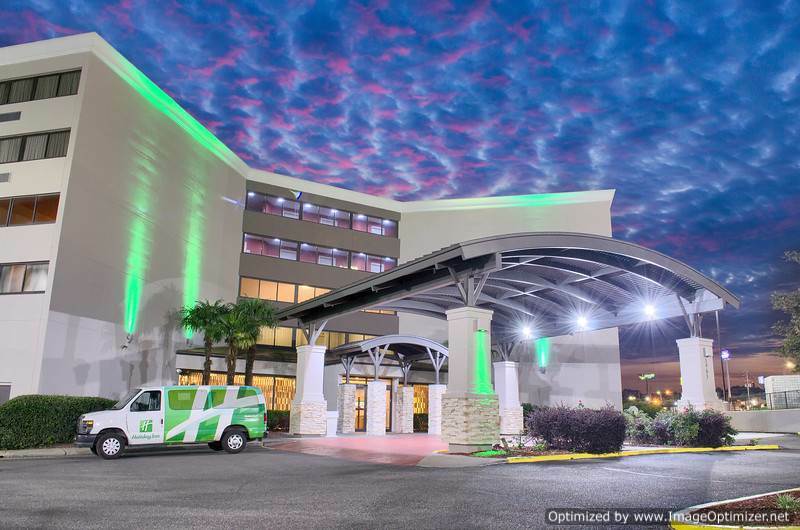 Holiday Inn Mobile location offers easy access to area Attractions. With booking our park and cruise package you will be treated to breakfast for up to 4 people per room, free parking for the duration of your cruise and transportation to and from the Mobile Alabama Cruise Terminal an approximately 15 minute van ride! We look forward to your visit. Full payment is due at the time of registration, remaining cabins are limited. Please submit your information now and Ginger will contact you for payment once we are sure there is availability on the ship. We will make every effort to find you a cabin. March 25, 2019 ~ Final balance on your cabin of choice. A custom No-Fee Monthly Payment Plan is available. We recommend these options to fit your needs. *** Carnival Cruise Lines reserves the right to re-instate the fuel supplement for all guests at up to $9 per person per day if the NYMEX oil price exceeds $70 per barrel . Cancellation before March 25, 2019 - You will receive a refund minus a $100 per person service charge. Cancellation after March 25, 2019 - No refund. You will need to make a claim with your travel insurance. Final payment is due March 25, 2019. Do you or your spouse have special needs? Need a handicapped cabin? Need to take Insulin or other medication requiring refrigeration on board? Also let us know if you will be celebrating a birthday or anniversary while on the cruise. Questions about the LWML 2019 Cruise? E-mail Ginger Kramp at ginger@mcgeheecruise.com or call (601) 991-1109.